The Clearblue Digital Pregnancy Test with Conception Indicator is the first and only test that is as accurate as an ultrasound scan at dating pregnancy**. Its Smart Dual Sensor ™ not only tells you in words if you're 'Pregnant' or 'Not Pregnant', also tells you how far along you are. It's like 2 tests in 1 - it first detects if the pregnancy hormone is present with over 99% accuracy from the day your period is due, and if you are pregnant, it ALSO indicates how many weeks since conception occurred 1-2, 2-3 or more than 3 weeks (3+). The Conception Indicator is 92% accurate in detecting when you conceived. The Clearblue DIGITAL Pregnancy Test with Conception Indicator gives you double confirmation of the result. Its Smart Dual Sensor ™ not only tells you in words if you’re pregnant or not, but if you are, it also shows you how many weeks pregnant you are. Clearblue are the market leaders and these tests are fast, accurate (greater than 99%), reliable and an easy alternative when you require immediate discreet results in the privacy of your own home. 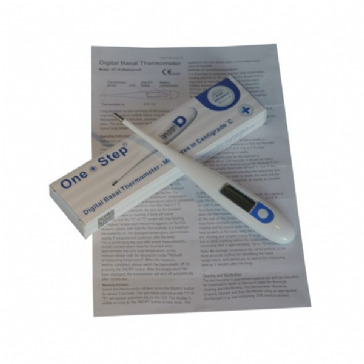 The Clearblue Digital Pregnancy Test with CONCEPTION INDICATOR gives you double confirmation of the result. Its Smart Dual Sensor not only tells you in words if you're pregnant or not, but if you are, it also shows how many weeks you are pregnant. With its advanced digital display, there's no need to interpret lines, giving you the most accurate pregnancy test reading in early pregnancy. Reassurance throughout the testing process is provided by clear symbols on the digital display showing test progression and any error messages. Shown below are examples of the results you could expect to see.